These refined sculptures draw inspiration from the local fauna and stylise shapes recalling architectural aspects of the archaic Nuragic culture. 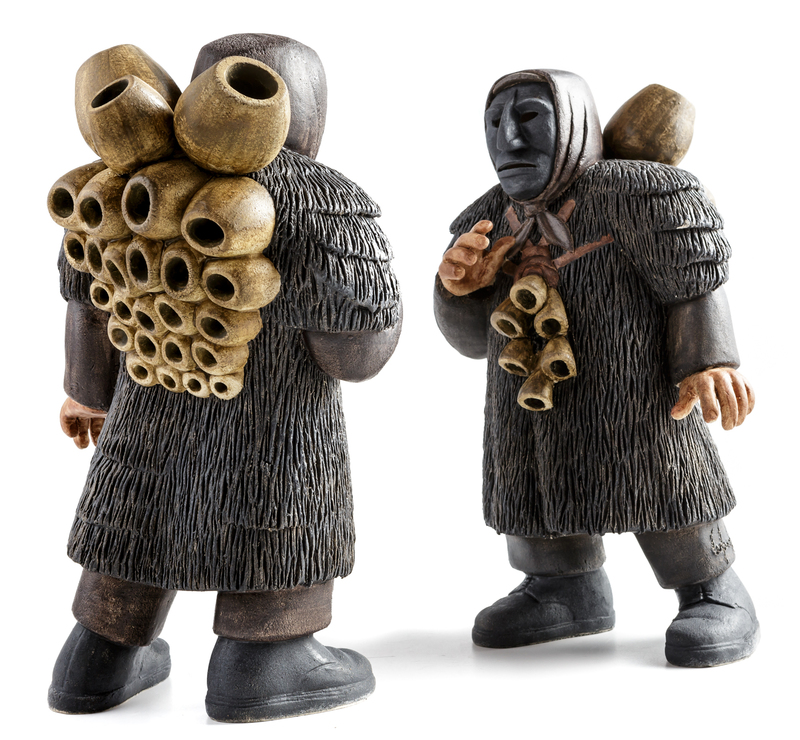 The Warrior ceramic sculptures have finely stylised shapes in balanced contrast with the rich decorative elements, obtained thanks to the material rendering of textures and iridescent glazed surfaces. Mamuthones, the carnival mask of Sardinian tradition, with its archaic and bewitching charm, is accurately described by the ceramic sculpture made with Domenico Cubeddu’s distinctive expressive and dynamic style. 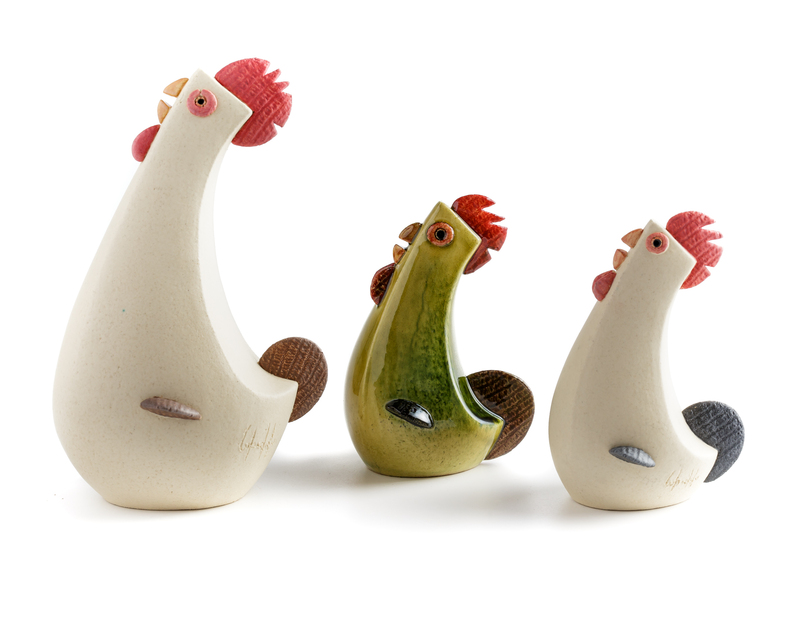 These cockerel sculptures are posed to crow. They express the formal synthesis that Domenico Cubeddu uses to narrate local culture and traditions. The lively distinctive ceramic production of Domenico Cubeddu offers deeply rooted insights into the culture of the island through his far-reaching and expressive personal language. They are every day and childhood life memories, detailed analyses of character traits, or abstractions where the narrative is just a synthetic gesture typical of the Sardinian culture, especially its most archaic aesthetic expressions. Domenico studied at the Art School of Oristano and understood the opportunity the world of ceramics, intended as an expressive medium offered him. Therefore, he chose a path of personal experimentation that enabled him to create his own well-defined identity as a craftsman and a distinctive production. In 2000 he set up his own workshop in his home village, Seneghe, rich in ancient history and tradition, located inland, on the Western part of the island, which is a constant source of inspiration for him. 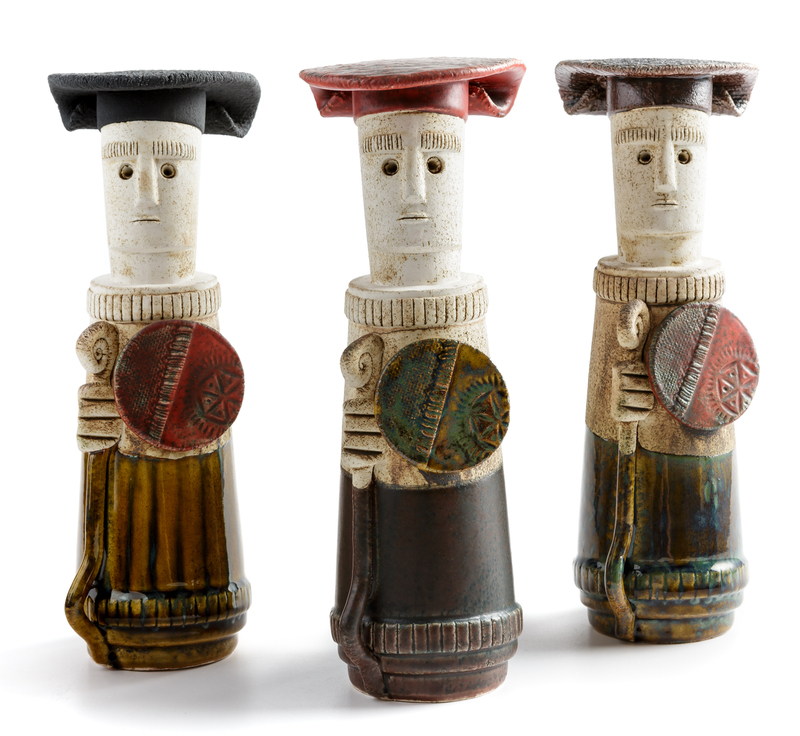 He participates in the major exhibitions of the sector in Sardinia and his artefacts are present in the shops that promote outstanding handicraft. The Balentes are the most recognisable items of Domenico Cubeddu’s production. 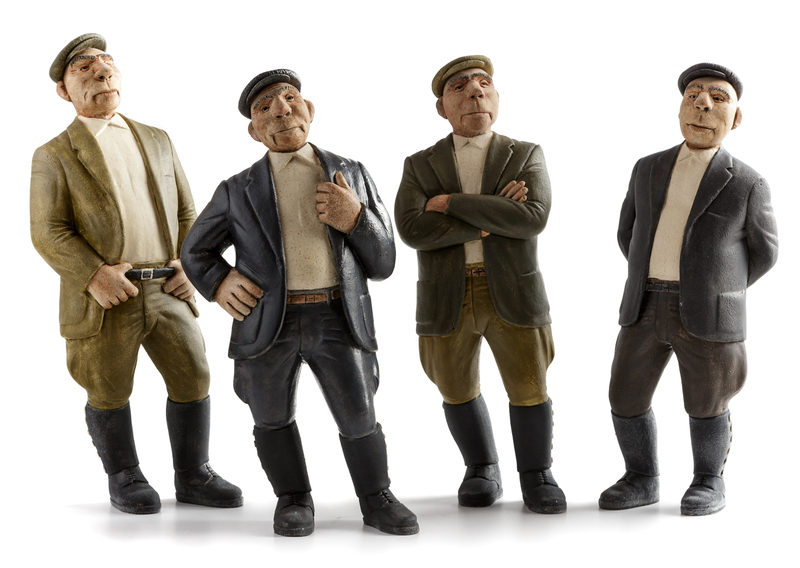 The small sculptures, which accurately reproduce expressions and clothes, tell the tale of the Sardinian shepherds who used to meet in the past and still meet in their villages, always in different postures and with their typical personalities. Other figures portrayed with his recognisable personal style include the Mammuthones and Guerrieri (Warriors), in addition to the significant series of animal sculptures that draw inspiration from the local fauna. The figures of the bull (toro), wild boar (cinghiale) and mouflon (muflone) are synthesised and abstracted in shapes that recall the aesthetic aspects of the archaic Nuragic culture, which decades ago inspired the artist Costantino Nivola to whom Domenico Cubeddu pays tribute with the large plates and tripod containers that re-elaborate the fine essential form of the Mother Goddess. Domenico realises his artefacts by mixing manual, sheet and cast-shaping techniques, using refractory earth decorated with enamel and glaze that he makes personally.